Last night was deemed the deadliest day for law enforcement since 9/11. 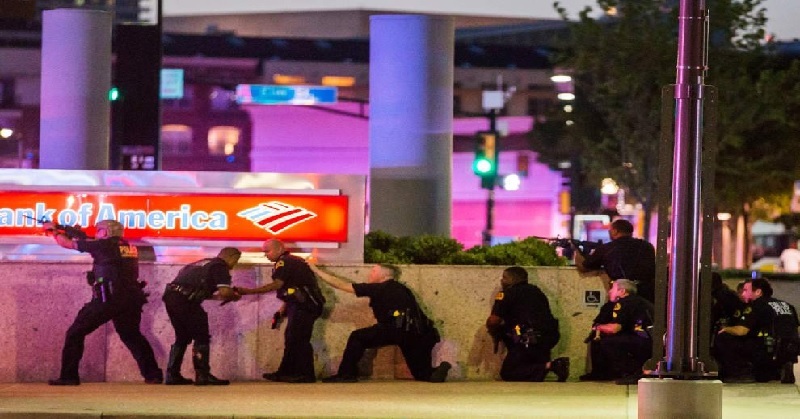 Five police officers were killed and seven wounded in Dallas, TX, in an ambush attack. During a press conference this morning, Dallas police chief, David O. Brown, revealed details about the motives of one of the attackers. Due to the fact that the investigation is ongoing, police are not revealing further details about suspects, but it has been reported that suspects are not cooperating with authorities, as reported by Sean Hannity. David O. Brown said a hostage negotiator was able to talk with the suspect for hours before police determined they had no choice but to move in to end the standoff. Brown said one suspect was cornered for several hours on the second floor of a parking garage, but negotiations broke down and there was an exchange of gunfire. Recently, there have been multiple shootings involving both blacks and whites, officers and civilians, most resulting in at least one death of a black individual. Some of these officers were justified and others were not. There are good officers and bad officers out there. However, by and large, the majority of officers are good people whose reputation has been tainted by a few bad apples. This individual was likely agitated by the Black Lives Matter movement, as well as the left wing media who seeks to brainwash the uninformed into believing that America is much more racist than we actually are. The tragedy that struck Dallas last night should be a wake-up call that America desperately needs prayers and a solution for peace, before more innocent lives, white and black, are taken. Katie is a senior at Regent University majoring in Government. Her work has also appeared on Red Millennial and PolitiChicks.